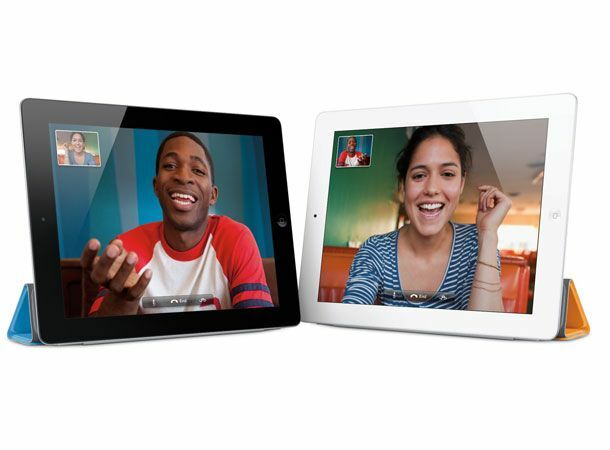 Apple has officially unveiled the second-generation Apple iPad with the eagerly awaited iPad 2 confirmed to be heading for a UK release on March 25th, two weeks after it touches down in the US on March 11th. Unveiled by Steve Jobs in San Francisco, the iPad 2 will build on the strong foundation of the original iPad which controlled more than 90 per cent of the tablet market over the past 12 months adding a feast of new features and design aspects. The iPad 2 can be seen in all its slimmed-down glory via the gallery of official iPad 2 pictures here. Packing front and rear mounted cameras into the new slim body which measures in at a staggeringly thin 8.8mm, 0.5mm slimmer than the iPhone 4, the iPad 2 will also come ready to support Apple's FaceTime video calling technology as well as the new, faster Apple A5 1GHz dual-core processor. The first device that will come pre-installed with the iOS 4.3 operating system, the iPad 2 will be available in both the standard black and new white colour forms and 16, 32 and 64GB storage capacities. With US prices set to start at just $499, UK pricing information has yet to be announced. What do you think of the iPad 2 updates and aesthetic, huge improvement that you must update to or just a few minor tweaks? Let us know your thoughts via the T3 Twitter and Facebook feeds.